SolView provides massive scale intelligent data analytics for residential and commercial real estate. Our global capacity supports clients on multiple continents with millions of rooftops studied worldwide. As our name suggests, the company’s origins began with a concentration on the solar industry but now also includes insurance, reinsurance and broader real estate services. Regardless of your sector, SolView’s patented and award-winning technology can radically increase your knowledge base for greater effectiveness, customer success and profitability. 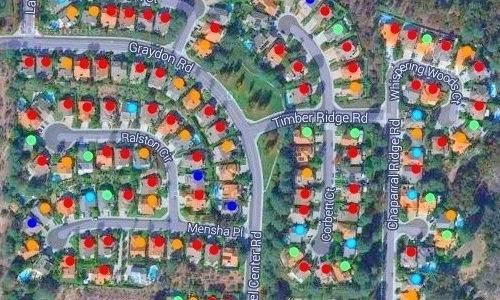 SolView analyzes the solar potential for residential and commercial rooftops around the world while incorporating client-specific search credentials such as local weather, roof size, roof direction, roof color, tree shading, utility rates and financial incentives via our Virtual Canvasser platform. The result is mass quantities of customized and technologically vetted data for customer-tailored opportunities without the need for expensive and unfocused sales and marketing campaigns like direct mailers, billboards, television, radio and even social media. Our platform also supports public and private utilities with the creation and integration of Virtual Power Plants (VPP). Solar equipment and installation expenses continue to plummet, yet customer acquisition costs continue to soar. You try websites, billboards, online media and lead companies but they don’t solve your problem. That’s because they aren’t the solution. The obstacle isn’t social. Or marketing. Or even sales. Its physical. Once you recognize that more than 70% of single-family homes aren’t solar compatible or genuine due to roof size, roof direction, tree shading or simply without a beneficial return on investment, you’ll also start to appreciate how your time and resources are being misused. But don’t worry, we can help! Virtual Canvasser lets you review MILLIONS of both residential and commercial properties all over the globe. Each property is individually analyzed, and results are sorted and visualized according to different solar and financial parameters based on the client's needs. Use our analytics to pinpoint the best prospects. And it’s all in the cloud. No software required – all information is accessible online and also through SolView’s API. Saving you up to 80% on your sales, marketing and operational time and costs. With SolView you can purchase on-demand and tailored lead bundles to your exact needs and requirements. Dramatically reducing your customer acquisition costs and radically improving your closing rates, overall sales and profitability. Want to rollout a new zip code? A city? Or entire state? Want to make sure you only pursue the opportunities that best fit your business? Here’s a sample request: At ABC Solar we want to take over the residential solar market for the Kansas City suburb of Lenexa, KS. Population ~55,000. But we only want to work with roof tops large enough to hold a 6kW system or better. We also don’t want any tree shading issues. And of course, we need roofs facing S, SE or SW. We’d also like to know the estimated ROI, lifetime savings and contact information and estimated credit score for each. Upon receipt of your request, our intelligent data analytics will immediately search, scrutinize and produce the new information you need. We’re talking about days, not weeks and months. All your data will be qualified and technologically vetted per your client-specifications – GUARANTEED – or we’ll provide replacements. We can even include individual proposals for every qualifying property and insert your name and logo. Solview does both residential & commercial, domestic and international analysis with commercial contact information that includes relevant business data such as estimated annual revenue and employee headcount. And we’ve got data packages, bulk discounts and even revenue sharing structures that can fit any customer budget and any customer need. We have pricing options that can fit any budget no matter how big or small. Once you do, you’ll see why Solview is the global leader in solar client acquisition! Target your sales force with smart analytics! SolView globally targets and scrutinizes millions of both residential and commercial properties identifying client-selected and time-sensitive attributes such as swimming pools, trampolines, chimneys, attached and detached structures, property conditions, adjacent tree canopies and more. The result is accurate and studied data, independent of customer statement and costly onsite visits, dramatically reducing the speculation associated with underwriting risk and premium evaluation thus improving the operational efficiency and profitability of the company. With access to better and more accurate information, carriers can make faster and more educated underwriting decisions while improving their efficiencies, productivity and overall profitability. What makes SolView truly unique is the massive scope and extraordinary detail of our analysis. Our patented and award-winning technology allows us to globally analyze not thousands but millions of structures and/or terra plots with the most sought-after accuracy in the business - a documented double-digit improvement over other industry players. All of which allows the insurance provider increased premium accuracy and increased revenues with decreased risk and underwriting losses. Real Estate Technology and Investment. SolView provides intelligent data analysis for properties located anywhere on earth while integrating an endless list of client-determined scan attributes and filters. Our platform then processes and creates new and rich information that produces a unique competitive advantage for real estate investment vehicles and real estate management industries. SolView’s AI-driven platform is based on patented and award-winning technology in image analysis and computer vision. Our innovative online platform analyzes and extracts structural and terra attributes from standard aerial imagery, performing data fusion with a nearly endless list of customer-specific credentials on a global scale. Established in 2013, SolView was originated by Founder and CEO Ofer Sadka with initial investments from the firm Capital Nature as well as the Israeli Innovation Authority. Solview's goal and mission is to bring high tech software and big data analytics to the solar industry and other related commerce. Our technology has received multiple awards and grants including endorsements from the United States and Israeli Departments of Energy. With offices in the United States and Israel, Tier 1 clients on multiple continents and millions of rooftops analyzed, SolView will continue to support companies, utilities and government agencies unlock the power of big data analytics and drive solar adoption on a global scale. Hi-tech executive with over 15 years’ experience in computer vision software. Previous positions include VP Customers for XTR3D, heading all commercial engagements with the company’s global partners such as Samsung, Intel, and TI. Prior, Ofer held engineering positions in Tiltan SE and NESS TSG. Ofer holds a BSc in Computer Engineering from the Technion and MBA from Tel-Aviv University. Sales and Marketing management executive with more than two decades and over a billion dollars of directed revenue experience spanning both the tech and renewables industries. Tenure building start-up organizations including the development of national as well as global distribution teams and strategies. 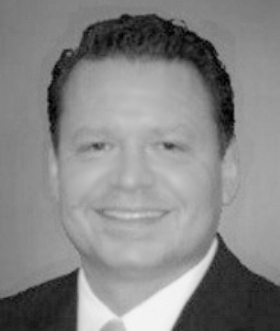 Don has an undergraduate from the University of Wisconsin and studied his MBA at Northwestern. Experienced R&D leader with over 15 years’ experience in managing R&D activities in computer vision, image processing, mapping and remote sensing. Previous positions include CTO at RepNUp, Algorithms and Software Groups manager at VisionMap and Algorithm Group leader at Elbit Systems. Alexander holds a M.Sc in Computer Science from the Weizmann Institute of Science.